TOKYO (Reuters) - Japan's economy, which likely shrank in the third quarter, is set to grow more slowly in the coming year than previously thought, according to a Reuters poll of economists who cited the U.S.-China trade war as the biggest threat. Nearly all economists, 33 of 36, said downside risks to Japan's economy have increased compared with three months ago, the Nov. 6-12 poll showed. Asked to identify next year's biggest economic risk, 16 economists picked "U.S.-China trade friction," 10 selected "China's economic slowdown" and eight said "New Japan-U.S. trade negotiations", the survey found. Japan's place in the global supply chain makes it vulnerable to higher tariffs on U.S.-bound Chinese exports. Manufacturers in China use parts and equipment from Japan to make smartphones and computers, and Japanese factories in China also ship goods to the United States. "Potentially the biggest risk from intensified U.S.-China trade tension is the indirect impact on corporate sentiment and capital expenditures," said Hiroshi Ugai, chief economist at JPMorgan Securities Japan. Japan's economy is expected to shrink in the third quarter, according to a separate Reuters poll, hurt by a string of natural disasters and a slump in export demand. Looking ahead to next year, the world's third-biggest economy will likely take a big hit in the fourth quarter -- shrinking at an annual pace of 3.2 percent -- when authorities plan to hike the sales tax to 10 percent from 8 percent, the poll showed. The tax hike will raise revenue for increased pension and social welfare costs as the country's population ages. 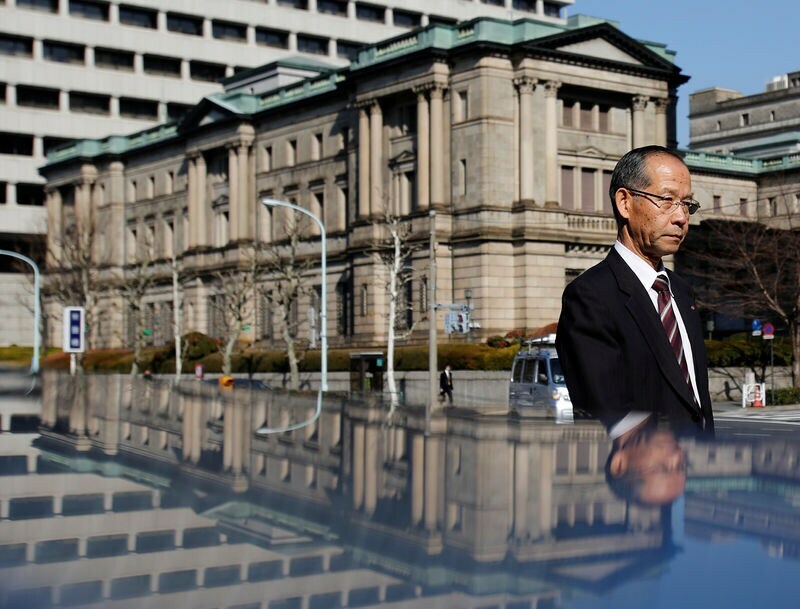 Nearly every respondent who answered an additional question said that the BOJ's next move would be to tighten policy, not loosen it, but a strong majority said that wouldn't likely happen until 2020 at the earliest. Signs that Japan's major mobile phone carriers plan to cut fees next year will depress the core consumer price index (CPI), economists predicted, possibly creating a headache for the central bank, which is trying to spur inflation. Japan's mobile carrier NTT Docomo plans to cut mobile charges by up to 40 percent in the April-June quarter following government criticism that fees are left artificially high due to a lack of competition in the industry. Other big carriers like KDDI and SoftBank Group could follow suit. "It could support consumer spending to some extent as people are conscious of the planned sales tax hike," said Takashi Shiono, economist at Credit Suisse Securities Japan. "But we don't think it will have an effect on consumer spending as people will be inclined to save money."